I’ve been very itchy and mom looked at my ears and said something about little bastards. Then she went away, and when she came back she sprayed me with something that smelled like my bed, she called it cedar. I didn’t know what to do with myself. 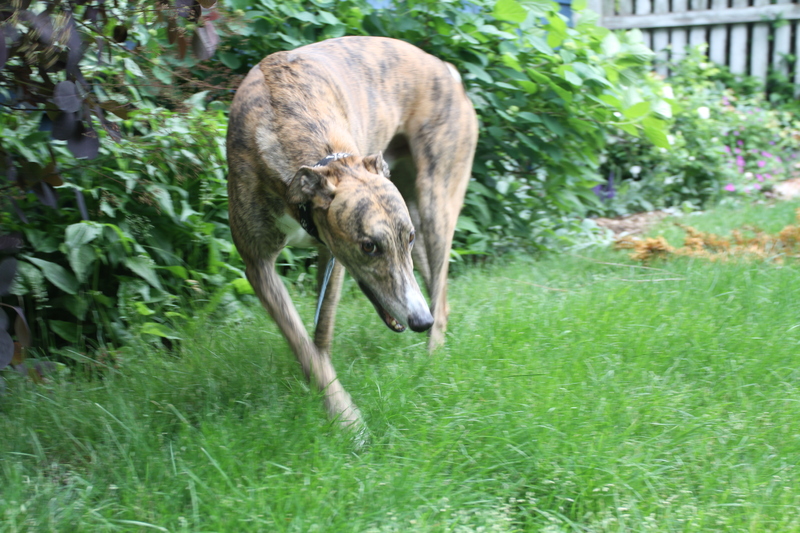 It felt tingly and smelled too much, so I went in the yard and rolled a lot in the grass, and then ran very fast. Mom gave me a treat when I came back in, and now I’m not itchy anymore. Not being itchy is my favourite. This entry was posted in thoughts, Uncategorized and tagged dogs, family, greyhound, thoughts by glasshill. Bookmark the permalink.